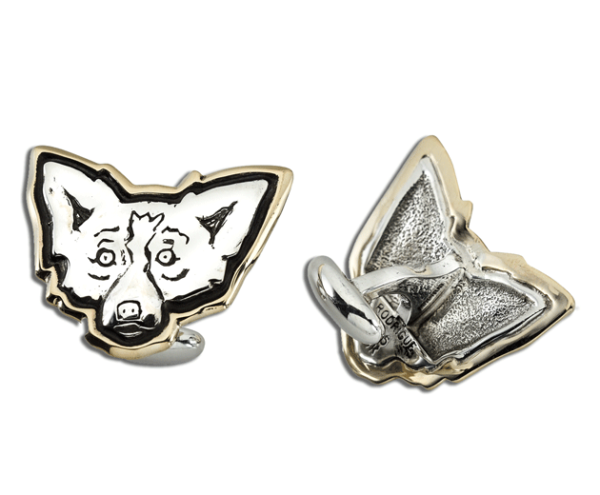 These stunning jewelry pieces are true works of art, first designed by George Rodrigue working with master silversmith Douglas Magnus some twenty years ago. 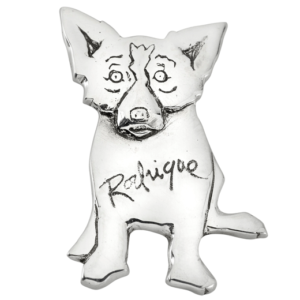 They have been unavailable since 2006, and are now available for Rodrigue collectors. 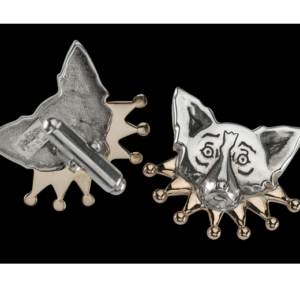 Read the history of this friendship and collaboration, and view other pieces in this collection at Musings of an Artist’s Wife. These outstanding works are of the highest quality. 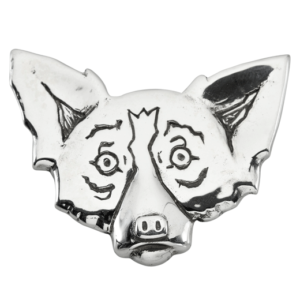 They are handcrafted, one-by-one, and are extremely limited in terms of on-hand inventory. 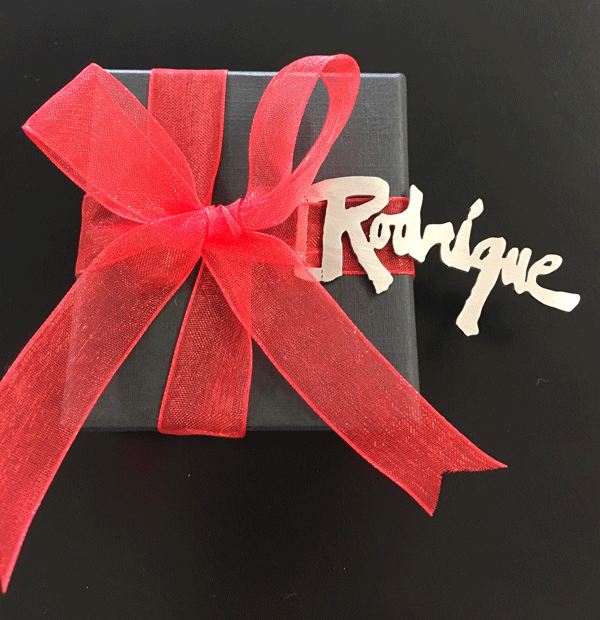 For information on other pieces available through Rodrigue Studios, please contact us. Prices range between $475 and $4750.